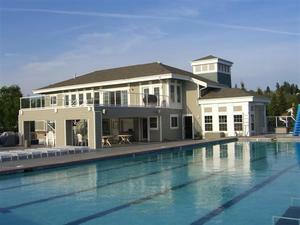 The Newport Yacht Club’s clubhouse underwent a complete remodel and expansion in 2005. The upstairs event space is approximately 1,700 square feet and can accommodate approximately 100 people. 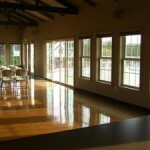 The event space is available to rent for meetings, parties, weddings, etc. 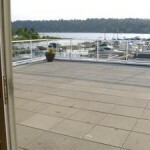 The room opens onto a 900 square foot balcony overlooking the pool, Marina and Lake Washington. The picturesque location offers scenic views making it an ideal location for any special occasion. The event space includes a full kitchen with a buffet serving counter, commercial refrigerator and freezer and sink, stove, oven, dishwasher and commercial coffee maker. Round and rectangle tables are available for use as well as folding chairs; however dishes, glassware and linens are not provided. 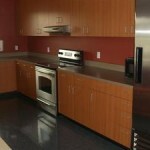 The Clubhouse has ample parking and is wheelchair-accessible with ramps to the building entrance and an elevator. In accordance with City of Bellevue noise ordinances, the Club and Bellevue Police enforce a 10:00 PM ending time for all music on weeknights and 11:00 PM on weekends. Rentals are available to the public, as well as, members of the Club. 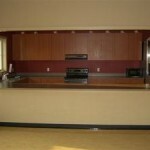 Renters are responsible for set up and tear down of the event within the time reserved. No rental period can extend past 12 midnight. Phone reservations or appointments to tour the Clubhouse may be made with the Membership Services Director at 425-747-3291. Reservations are held for 72 hours, at which time the signed rental agreement and refundable security deposit are due. Final room rental charges are due no later than 30 days prior to the event date. Click here to fill out a clubhouse rental form and recieve additional information regarding pricing and availability.